How can I find Nidhi Hospital? Nidhi Hospital is situated in Navrangpura in the heart of Ahmedabad. It is at Stadium Commerce Road, near Income Tax which is a landmark in Ahmedabad. 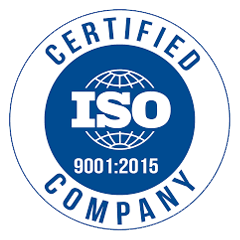 Please visit “Contact Us” page of our website for further details. How far it is from Airport? Nidhi Hospital is about 10 Kms from the Ahmedabad Airport. Convenient transportation is available to reach Nidhi Hospital. How far it is from Bus station? Nidhi Hospital is about 8 Kms from Geeta Mandir Central Bus Station. Convenient transportation is available to reach Nidhi Hospital. Can I get transportation from the Airport for Nidhi Hospital easily? Yes, convenient transport facility is available. Also if pre informed, pick Up facility can be arranged from Nidhi Hospital. Is Nidhi Hospitals near to Ahmedabad city centre? 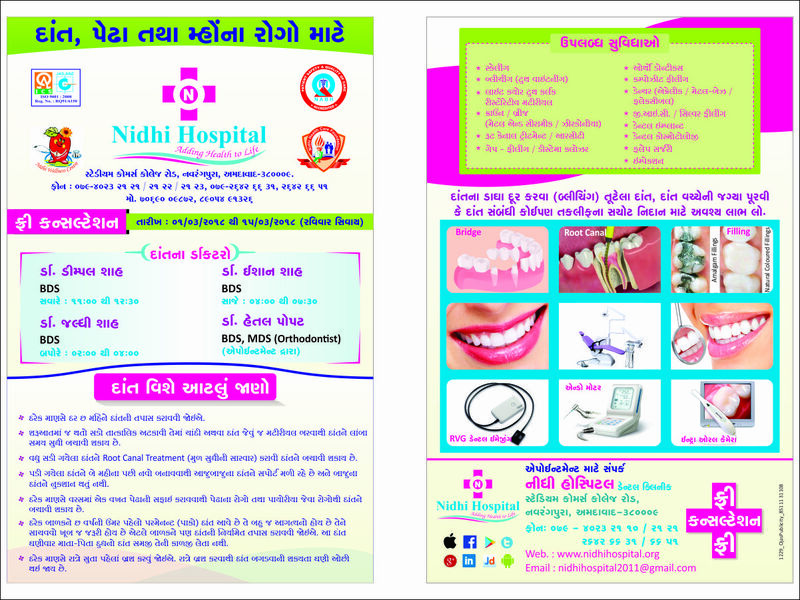 Nidhi Hospital is located in the heart of Ahmedabad. It is located at Stadium Commerce Road, Navrangpura Ahmedabad. Shopping Malls, Business Centers Offices are at walking distance from the hospital. How far Nidhi Hospital from leading hotels? Leading hotels of all classes are in close proximity from Nidhi Hospital. Your consultant will make entry of discharge in your case sheet. After this, the resident doctors prepare the discharge card. Then the file is sent to the IP pharmacy for clearance, after which the final bill is prepared taking into account all the deposits. When the final bill is received payment has to be made at the admission counter. This complete procedure may take about 2-3 hours. Is food from outside allowed? We provide complementary food for patient from hospital Cafeteria. Normally no outside food is allowed in the hospital for patient or relatives. What are the rules for transferring patients to higher category? Transfer to a higher category will be done based on the availability of beds. The rates of the category transferred to will be applicable from the date of transfer. In case of packages, for transfer to a higher category the total difference in the package charge has to be paid before transfer. If a patient is transferred from a lower category to higher category, all charges applicable to the higher category will be charged from the date of admission except bed charges. Are medicines and consumables allowed from outside? Nidhi hospital has well maintained govt. recognized pharmany which provides all kinds of medicines & consumbles. The Hospital policy does not allow any medicines /consumables from outside due to safety reasons.